Author: DeLillo, Don Set In . . . Description: Set against the backdrop of a lush and exotic Greece, The Names is considered the book which began to drive "sharply upward the size of his readership" (Los Angeles Times Book Review). Among the cast of DeLillo's bizarre yet fully realized characters in The Names are Kathryn, the narrator's estranged wife; their son, the six-year-old novelist; Owen, the scientist; and the neurotic narrator obsessed with his own neuroses. 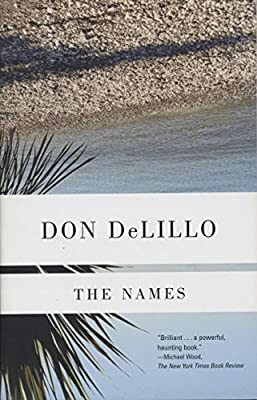 A thriller, a mystery, and still a moving examination of family, loss, and the amorphous and magical potential of language itself, The Names stands with any of DeLillo's more recent and highly acclaimed works.